It’s almost Turkey Day! 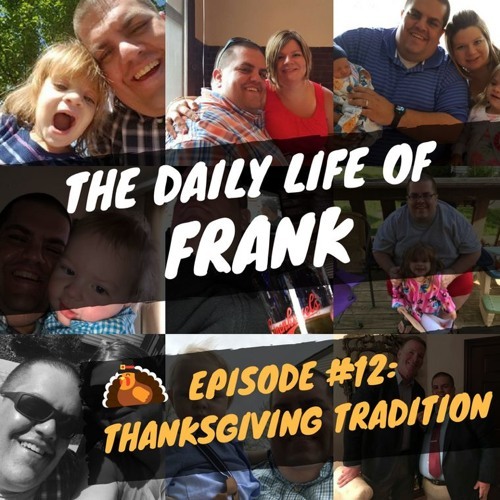 This week on The Daily Life of Frank Podcast, Frank gets his Thanksgiving on. This week he congrats Chance and Pat and talks about: •	Computer Virus •	Thanksgivings of the Past •	His Thanksgiving Day Fantasy •	Things He Can’t Talk About and his Poor Wife has to Hear It •	Women Rock •	The Smell of Someone Else •	Loose Underwear on a Sunday •	Pet Peeve of the Week – It’s about Parades •	Lillian’s NFL Picks of the Week •	The Belt Crisis of 2017 •	Pizza Parlor Call and Delivery Guy Invades Privacy •	Butternut Squash Recipe All this and more on the Thanksgiving Tradition Special of The Daily Life of Frank.